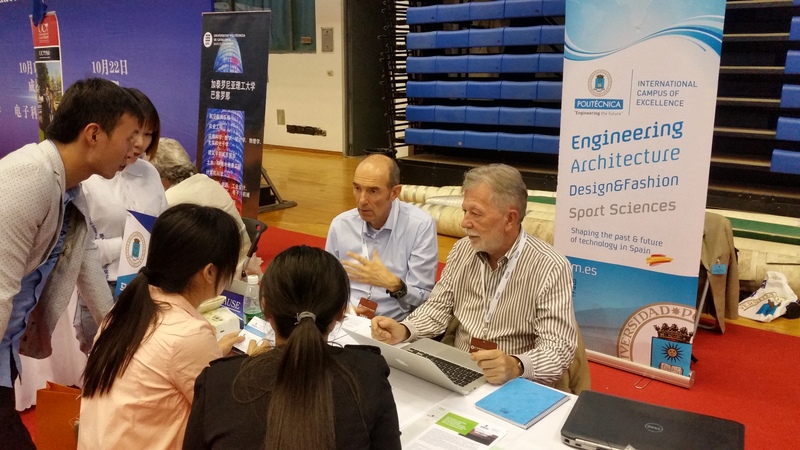 GTI is present at the 2016 International Graduate Student Fair (2016 IGSF) supported by the China Scholarship Council (CSC) en Beijing, Zhengzhou, Chengdu and Hefei. The IGSF is a yearly event held in several Chinese cities, where university students (undergraduate, graduate and PhD) can meet representatives of foreign universities to increase their knowledge of those institutions and to close contacts for applications to the CSC. Selected students, fully supported by the CSC, will enroll their chosen foreign university to follow a Master or PhD program. Universidad Politécnica de Madrid is fully committed with the program and sends a delegation to the IGSF and GTI is a regular member of the delegation.